Your coffee will be buzzin' from our Honey Bee Customizable Coffee Mugs. This unique coffee mug is sure to make Grandma feel extra sweet on Mother's Day. Our Personalized Mugs are Dishwasher safe and holds 11 oz. Each Personalized Coffee Mug include FREE personalization. 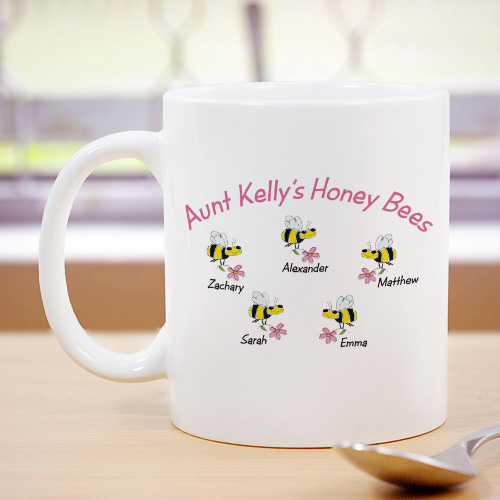 Personalized Coffee Mugs for Mom, Nana, Aunt or Grandma can be customized with any title and up to 30 children or grandchildren names.